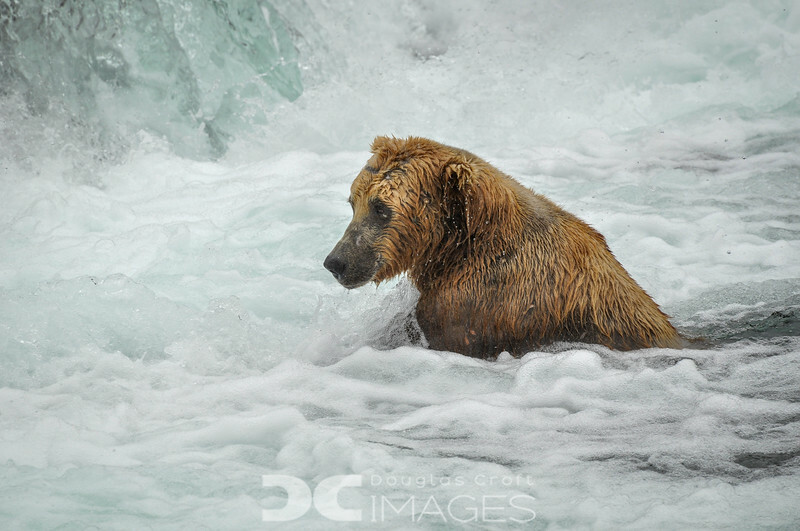 A trip to Alaska, highlighted by the Bears of Brooks Falls in Katmai National Park and a visit to Kenai Fjords National Park. A majority of sales proceeds from this gallery will go to the Sheldrick Wildlife Trust. This seems to be one of the best fishing holes. This massive bear, clearly the king of Brooks Falls, claimed this spot and would fiercely defend it.